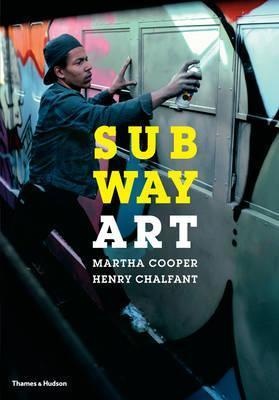 In 1984, photographers Martha Cooper and Henry Chalfant captured the imagination of a generation with Subway Art, a groundbreaking book documenting the work of graffiti writers who illegally painted subway cars in New York City. The 2009 edition of the book is now available in a new, slightly reduced format. Henry Chalfant's images of the trains retain their impact, while Martha Cooper's narrative pictures tell the story. In the introductions, the authors recall how they gained entry to the New York graffiti community in the 1970s and 1980s and describe the techniques that they used to photograph it. Afterwords report how the lives of the original subway artists have unfolded, and chronicle the end of the subway graffiti scene in the late 1980s and its unexpected rebirth as a global art movement.